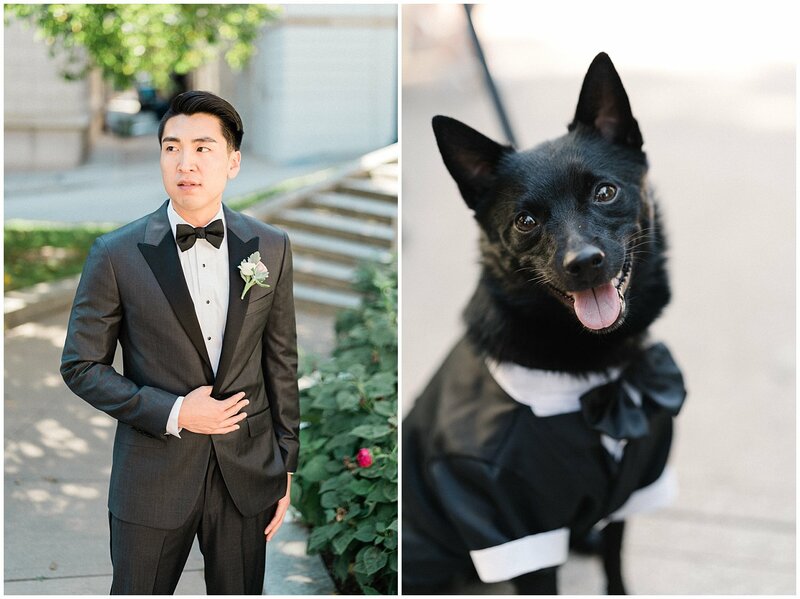 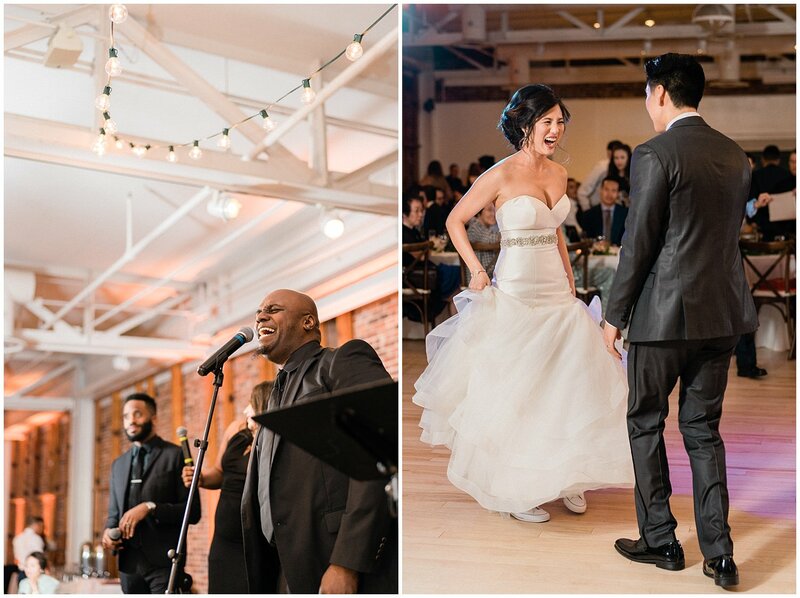 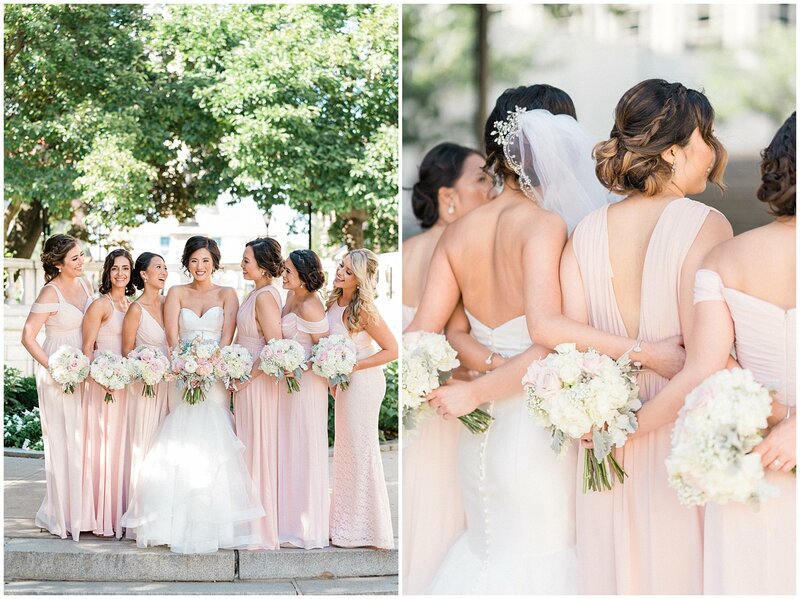 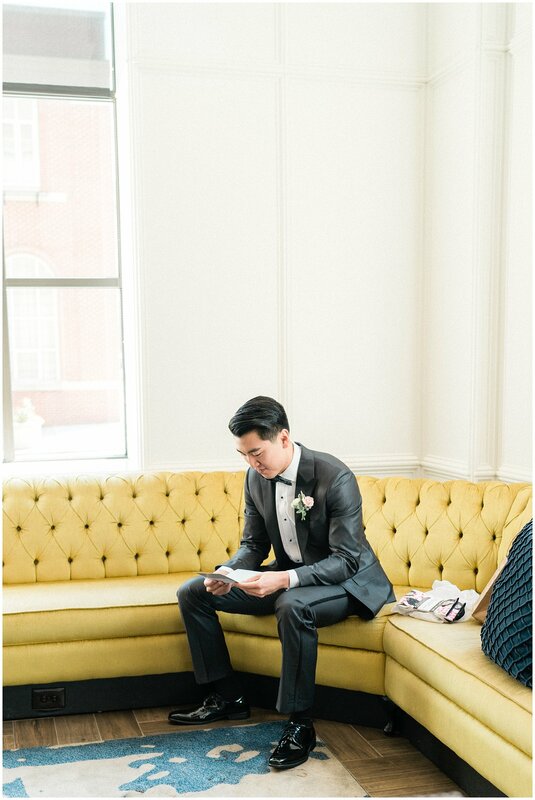 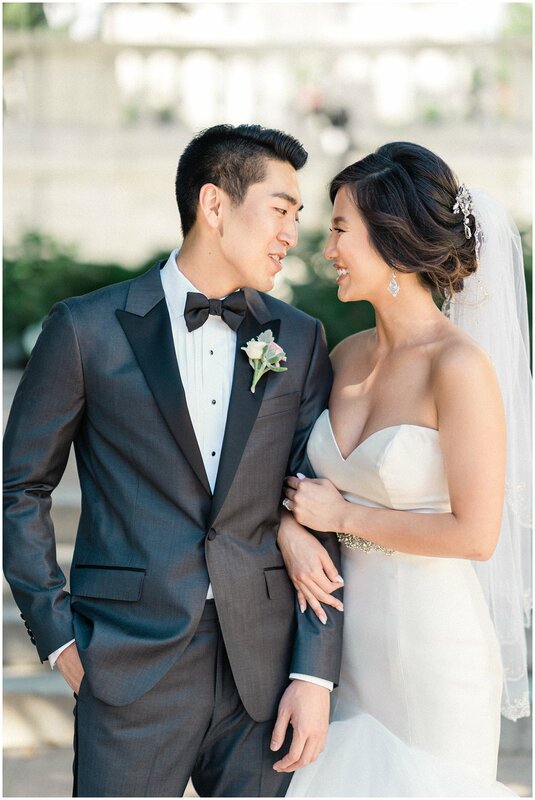 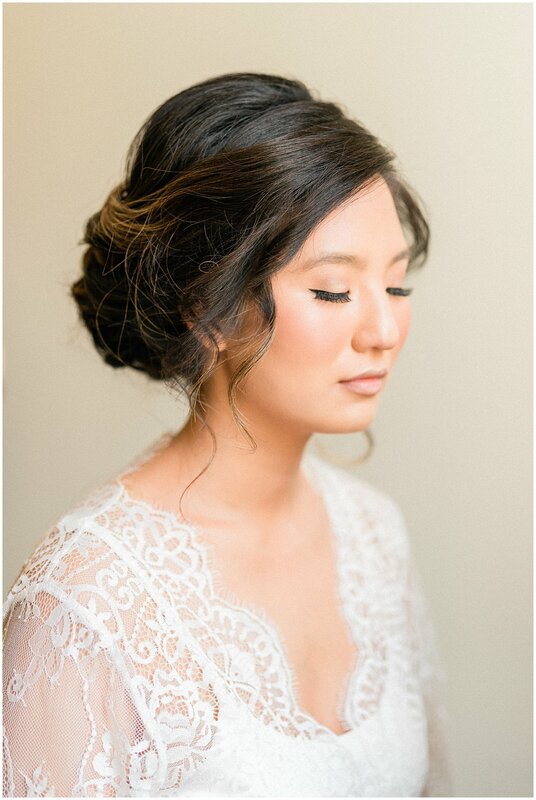 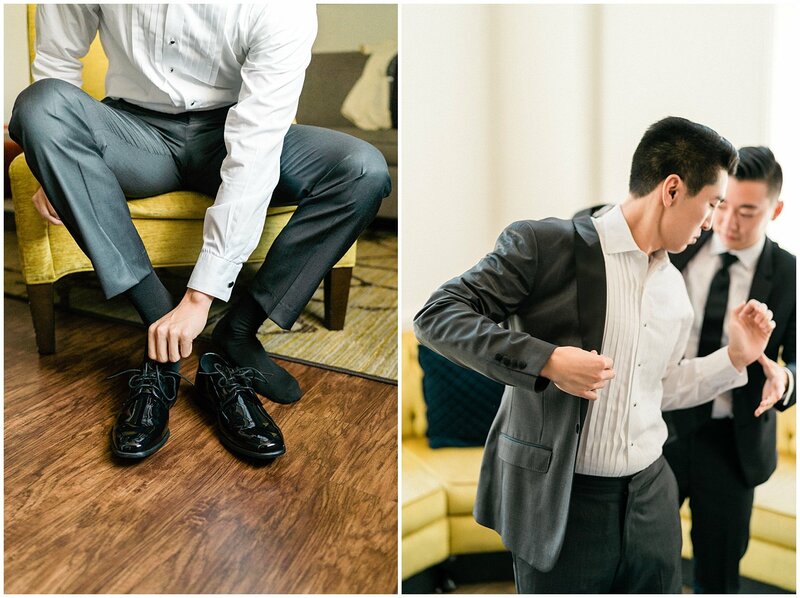 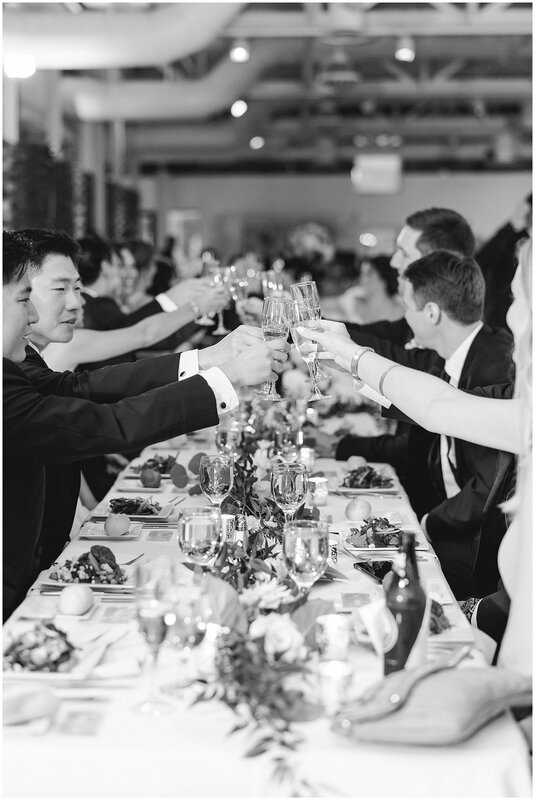 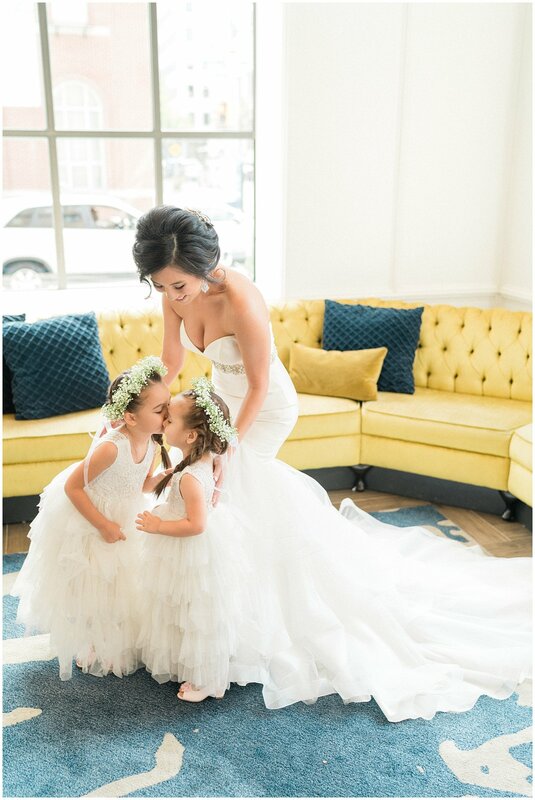 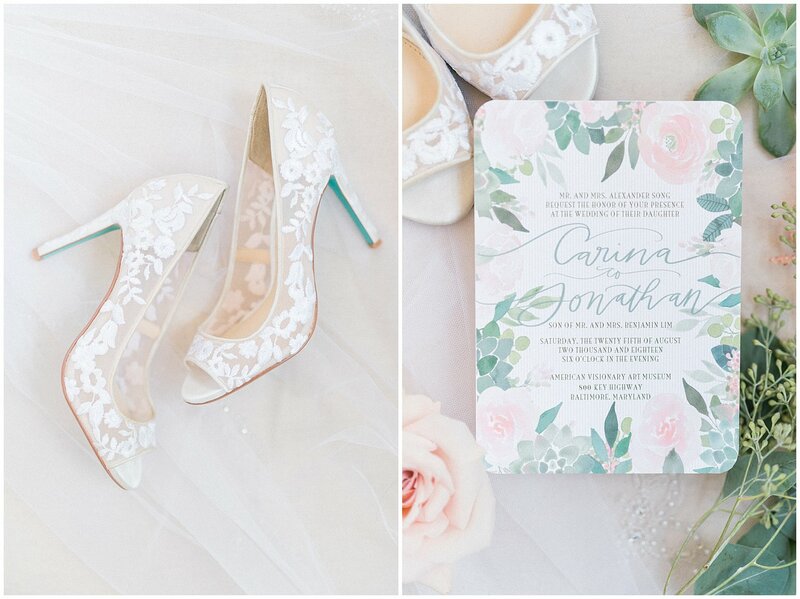 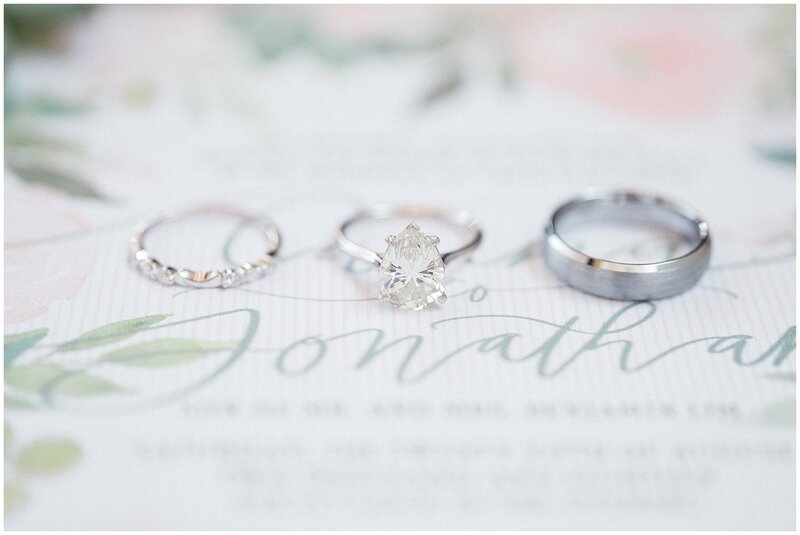 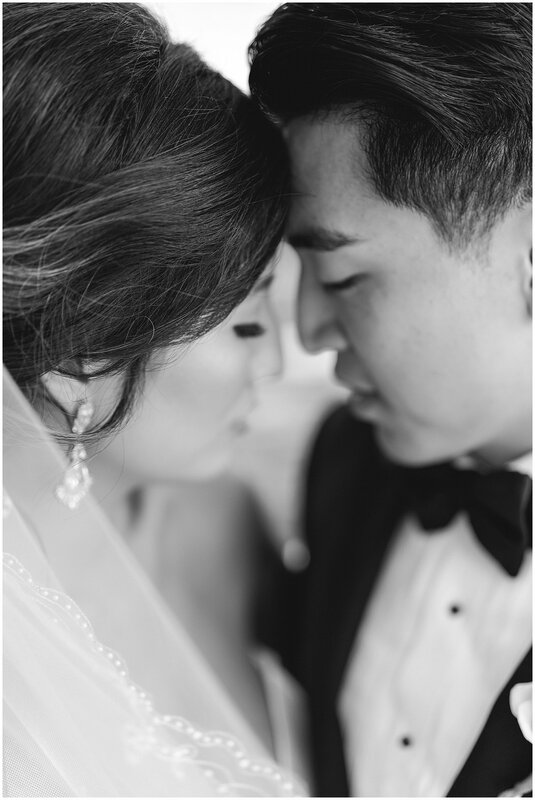 Did you catch Carina and Jon’s gorgeous AVAM wedding published on United with Love? 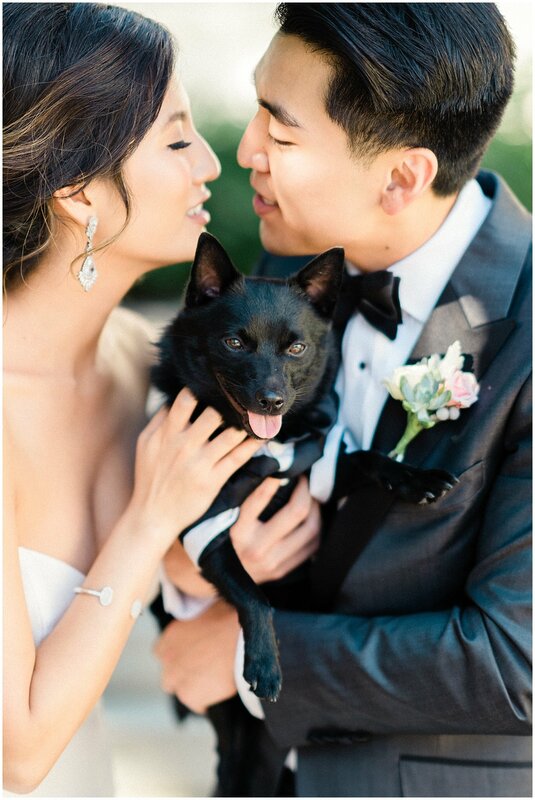 I loved working with the two of them- you will not find two kinder, more loving souls- with amazing taste and a cute dog to boot! 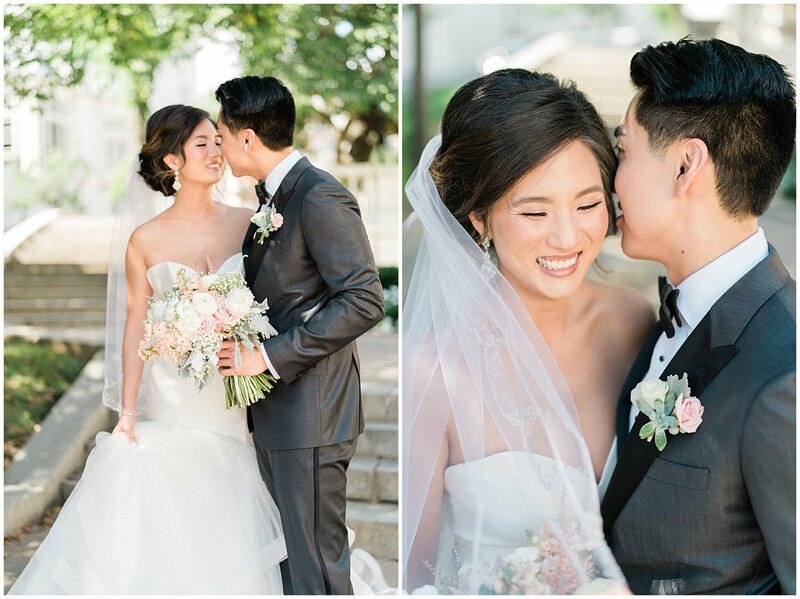 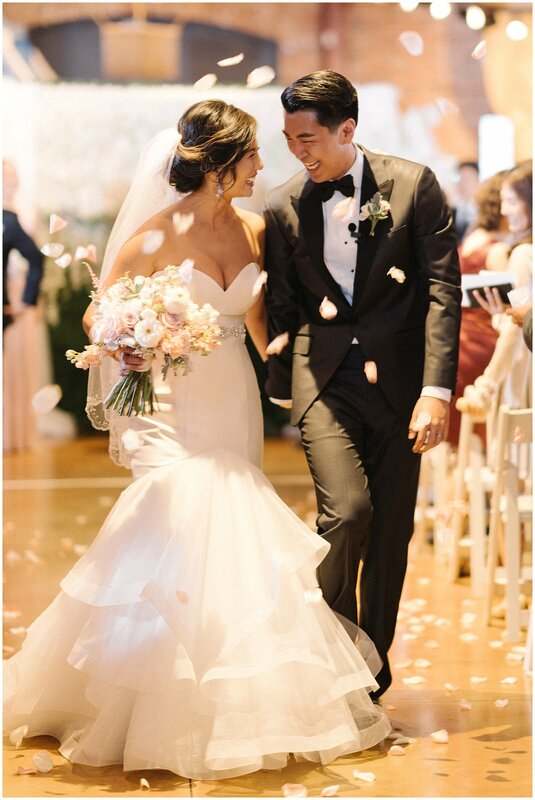 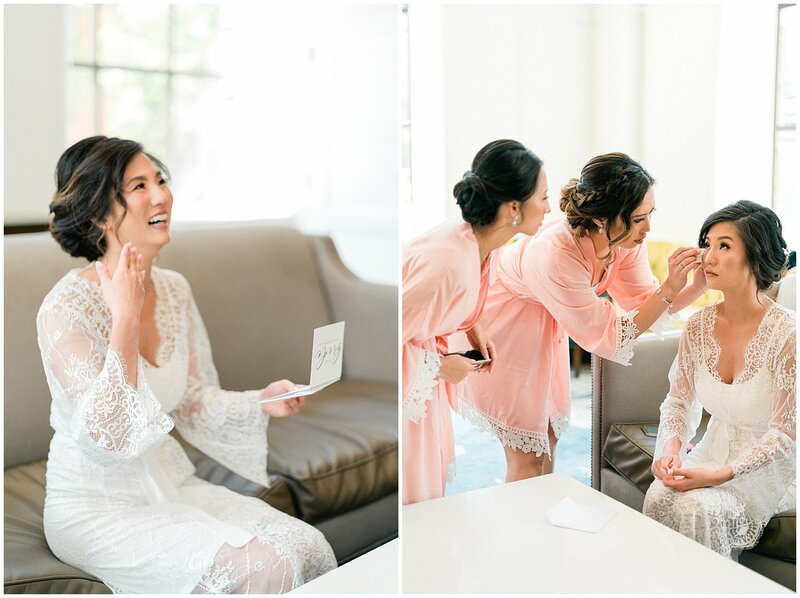 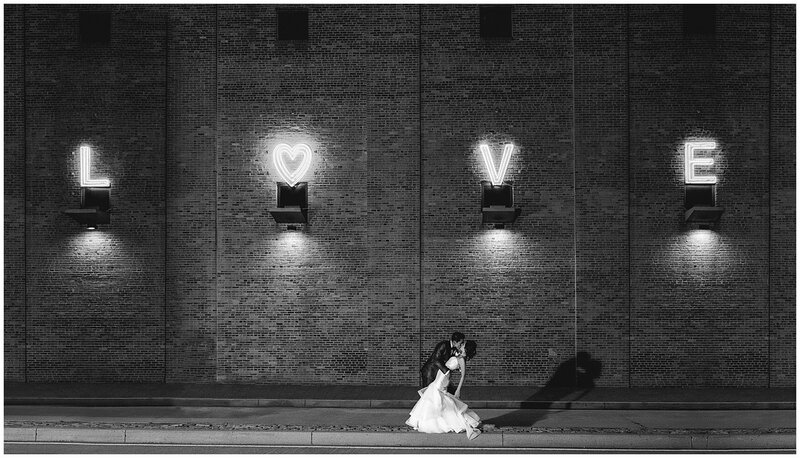 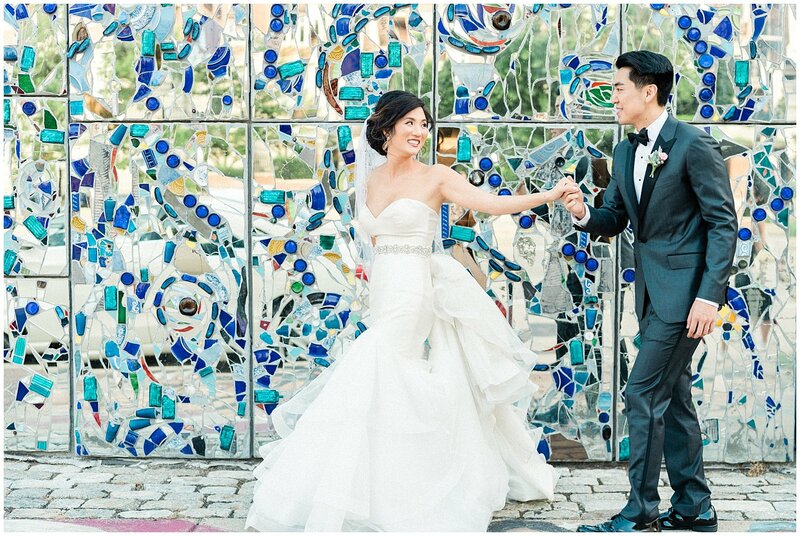 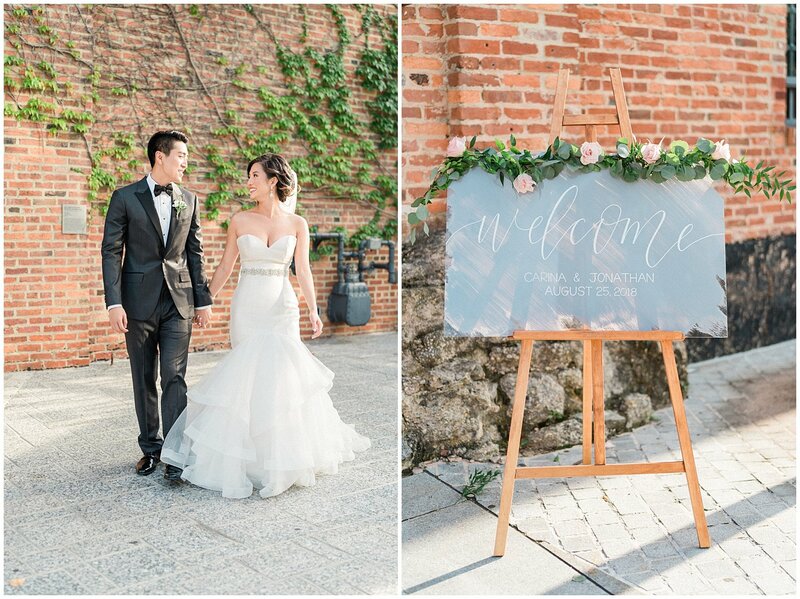 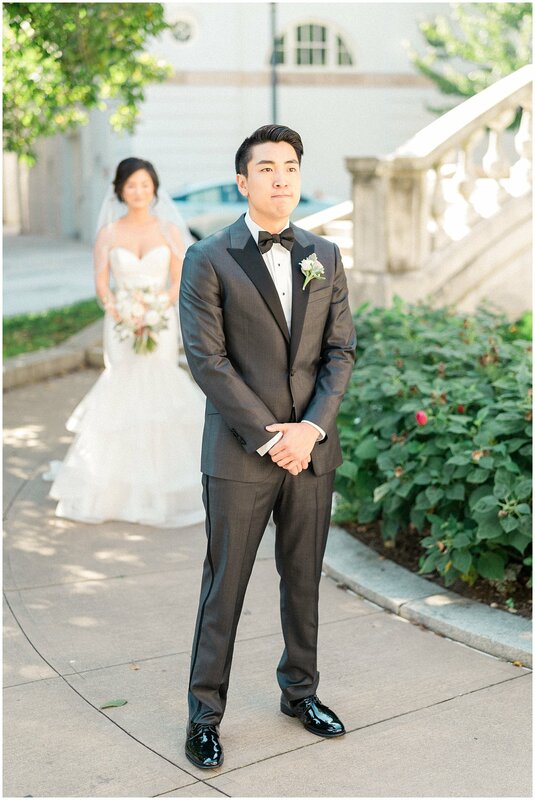 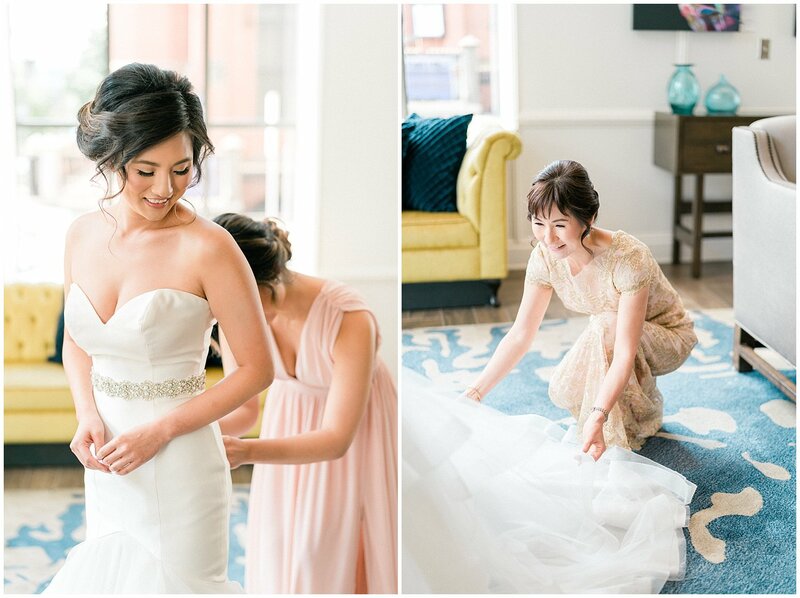 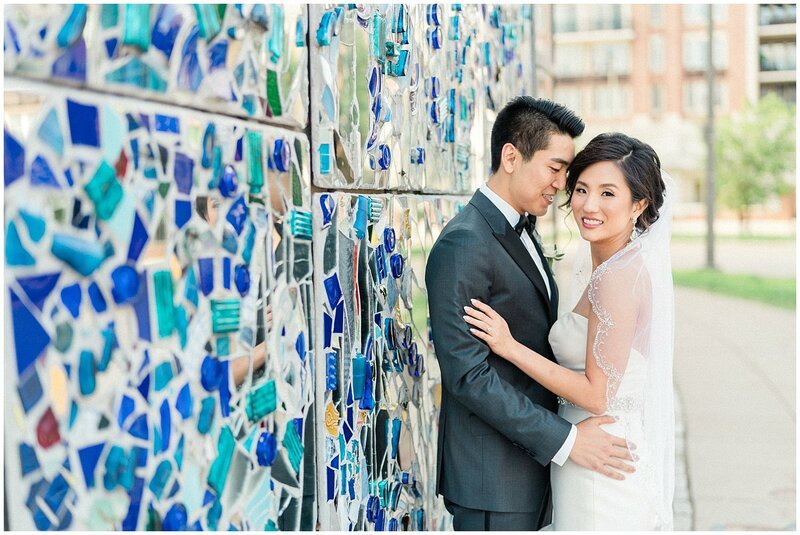 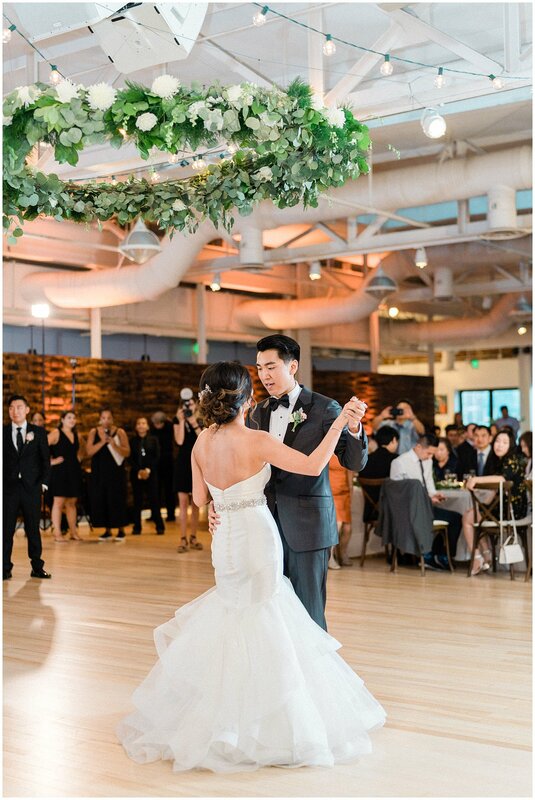 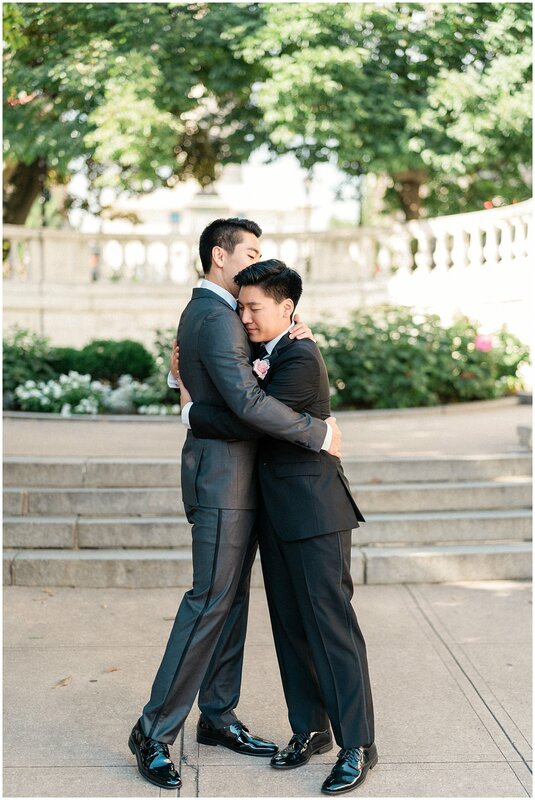 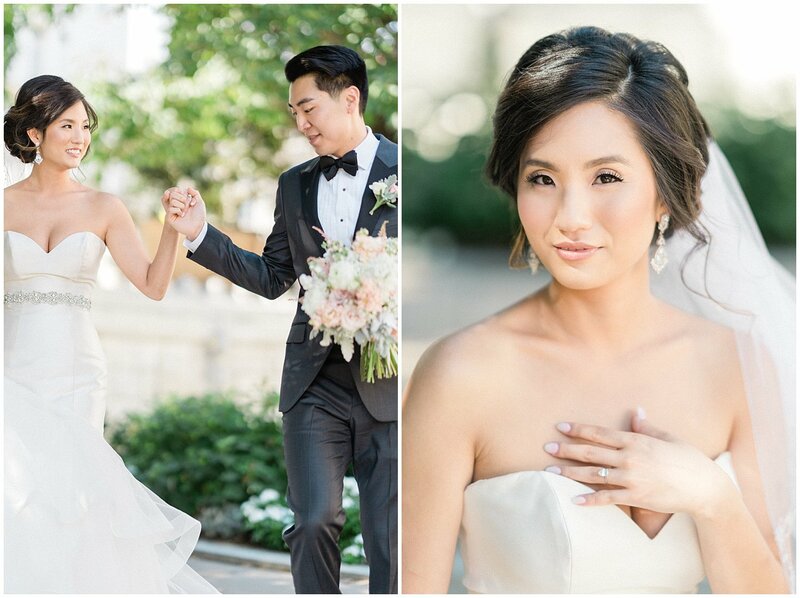 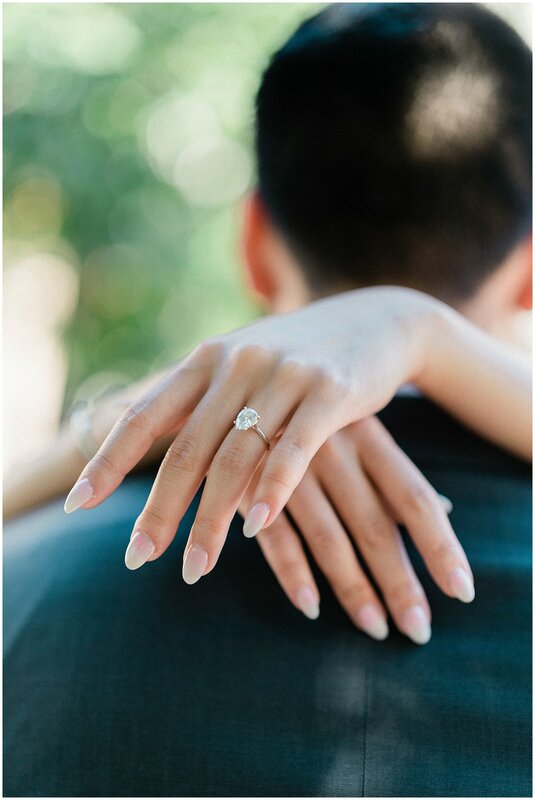 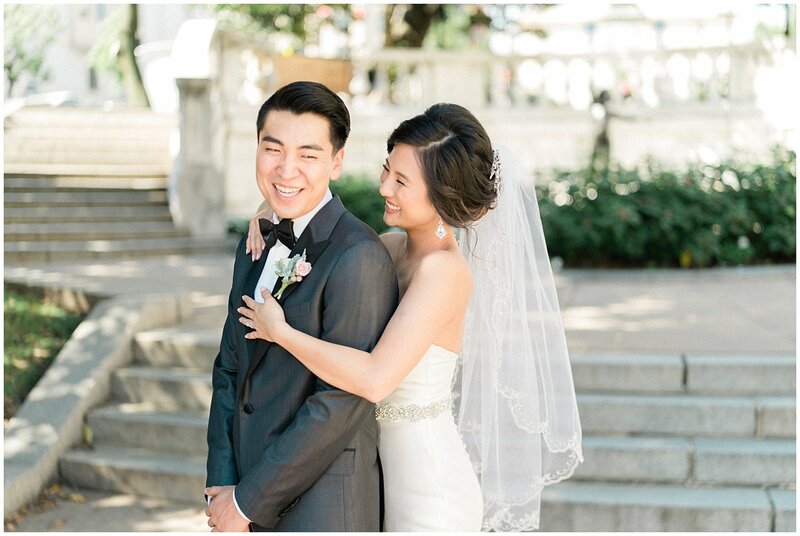 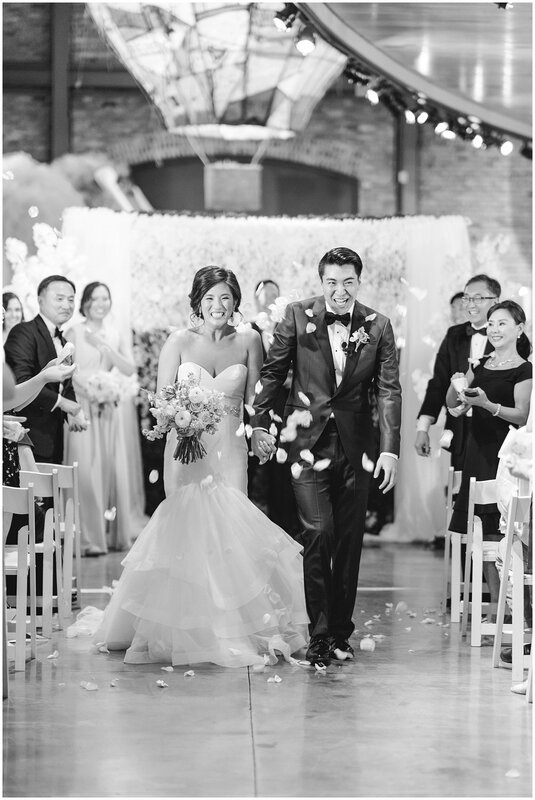 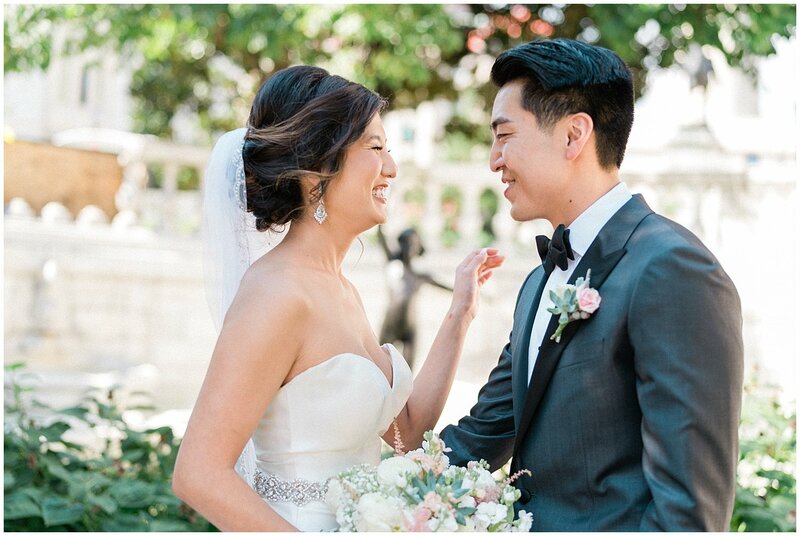 I am so excited to share their romantic, summer wedding that took place at the American Visionary Arts Museum in Baltimore. 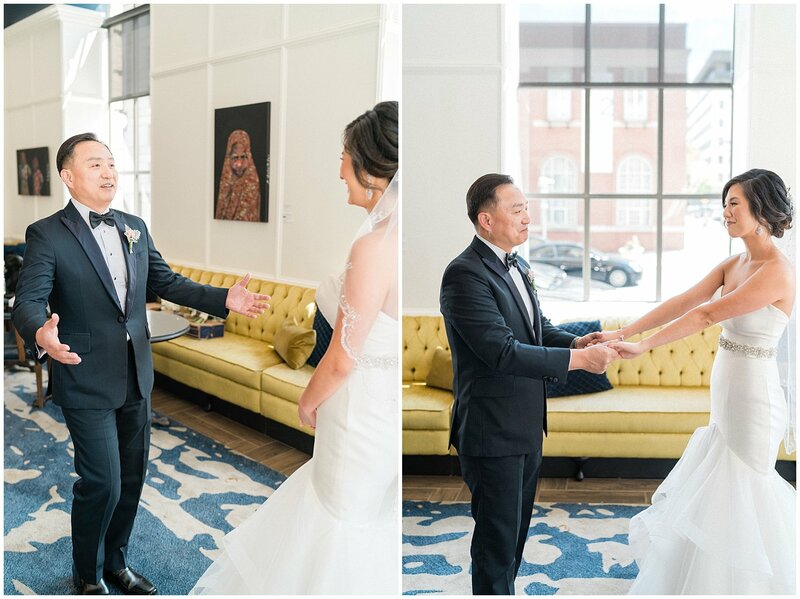 We started the day off at Hotel Indigo in Mount Vernon, where the library room acted as a beautiful staging area for getting ready. 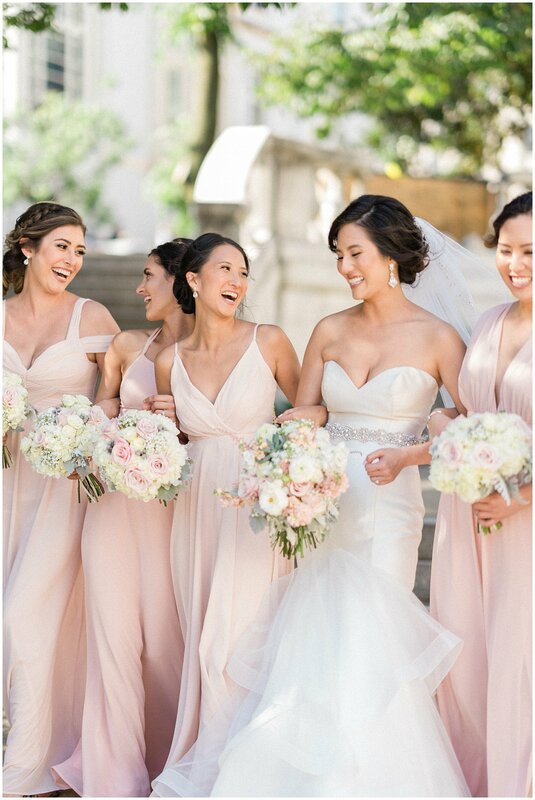 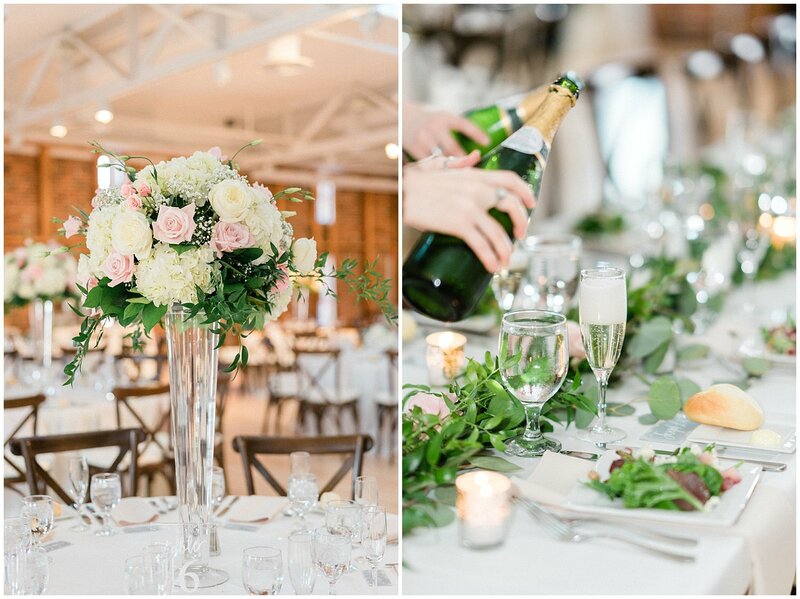 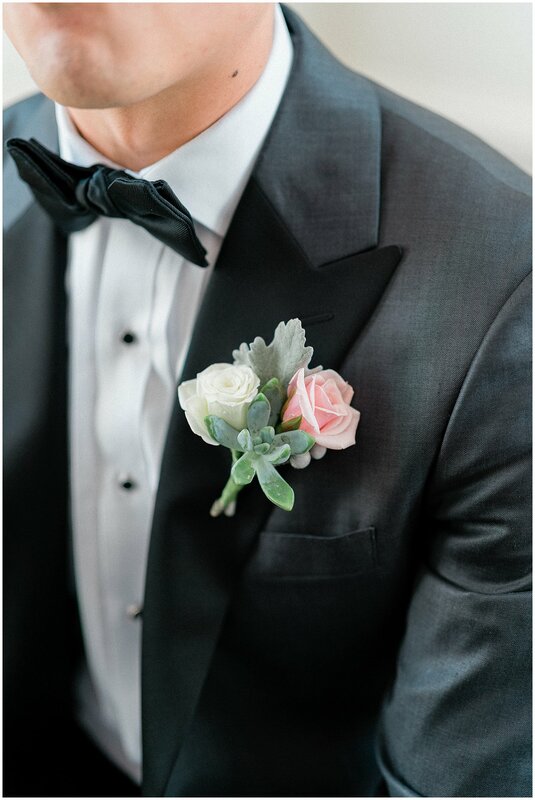 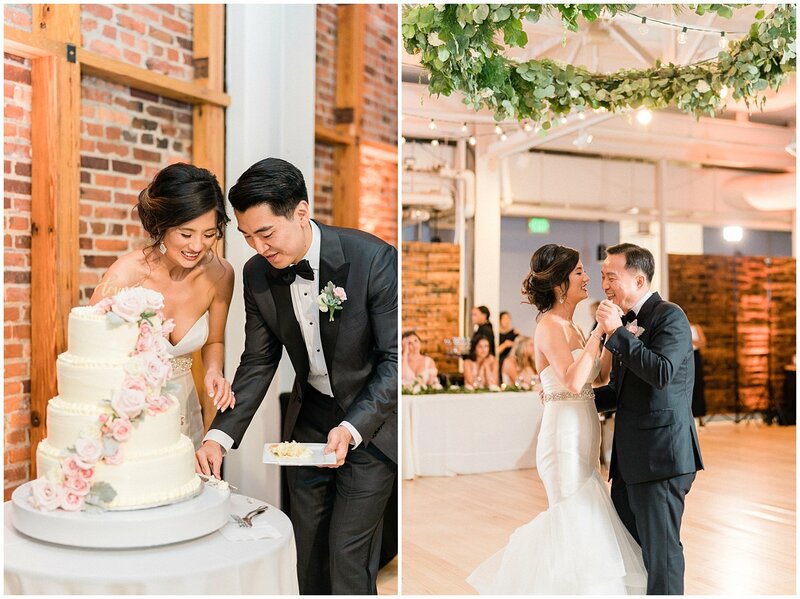 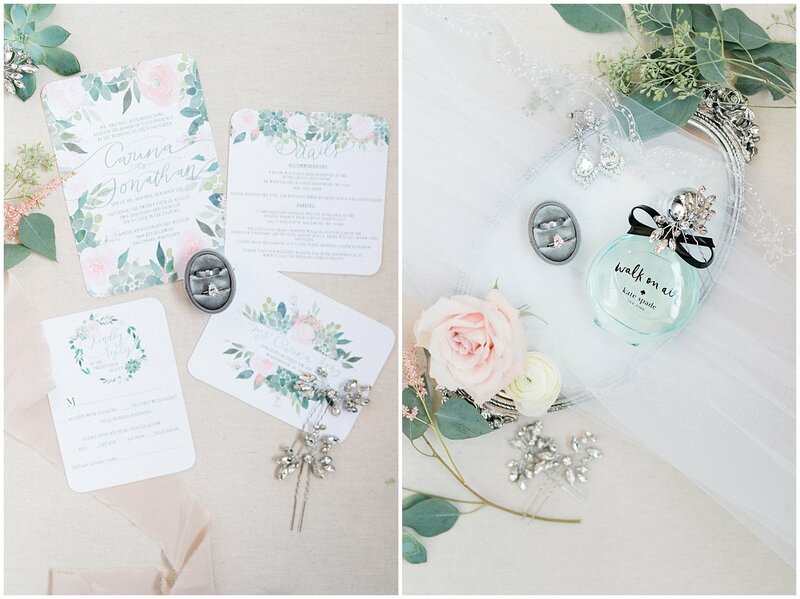 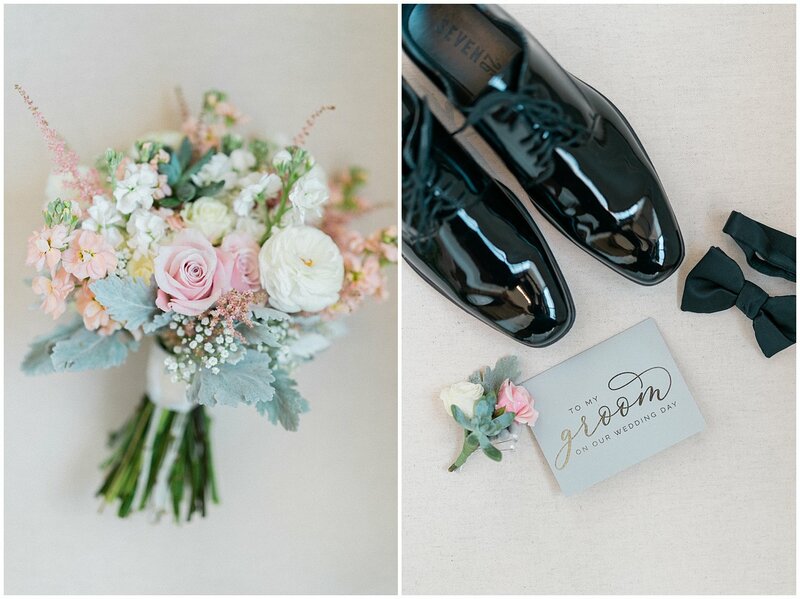 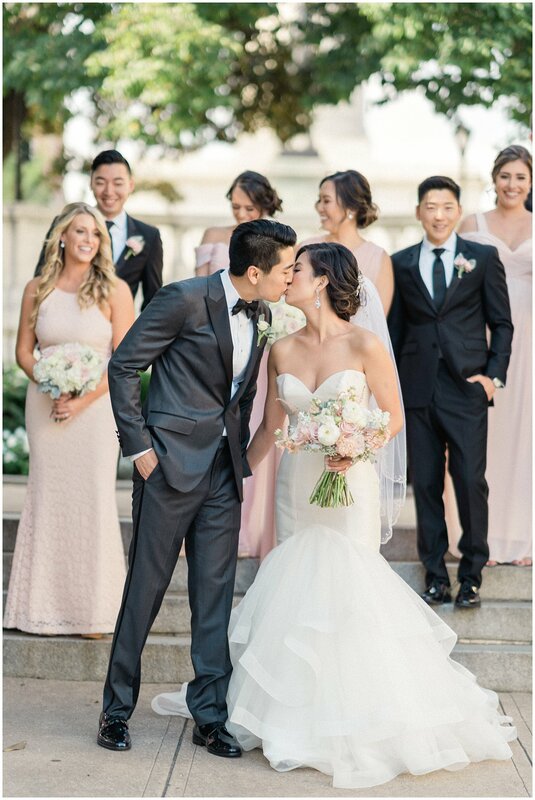 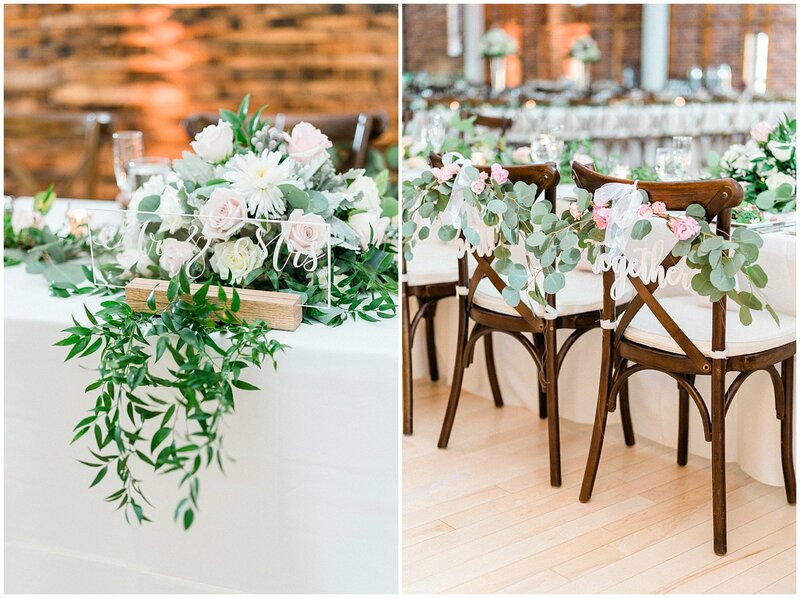 Carina and Jon picked out a soft pastel palette for their wedding colors, featuring a summery sage green and soft blush tones. 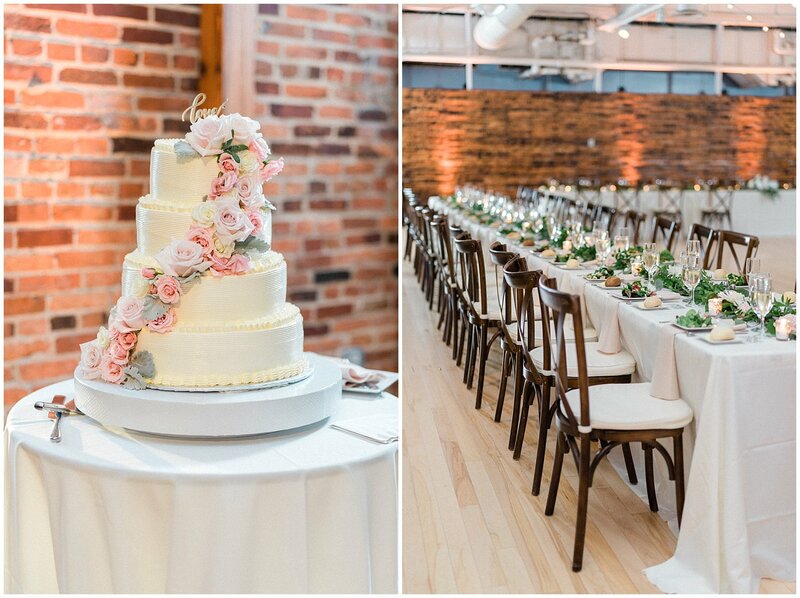 The party continued over by the AVAM, where the venue’s quirky, unique decor provided the perfect industrial blank canvas for their romantic, traditional elements. 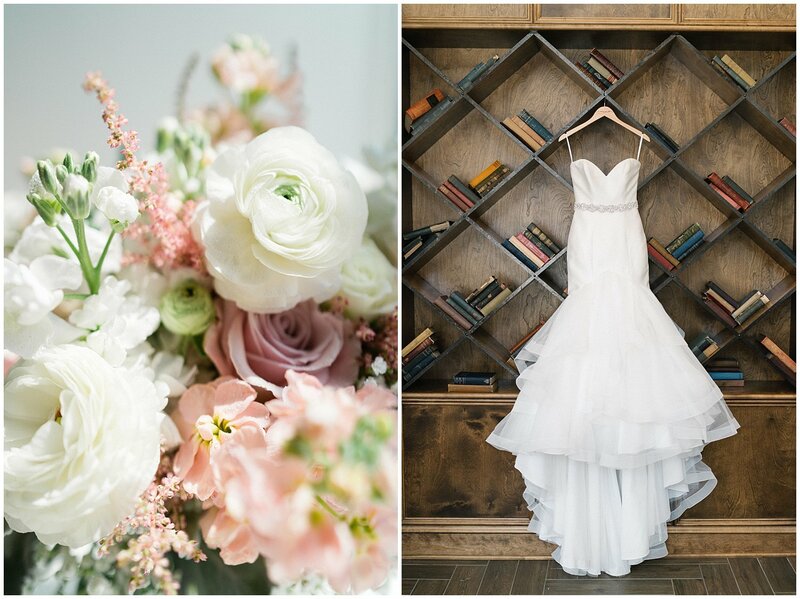 I think my heart skipped a beat when I walked into the reception space and there was a floral chandelier. 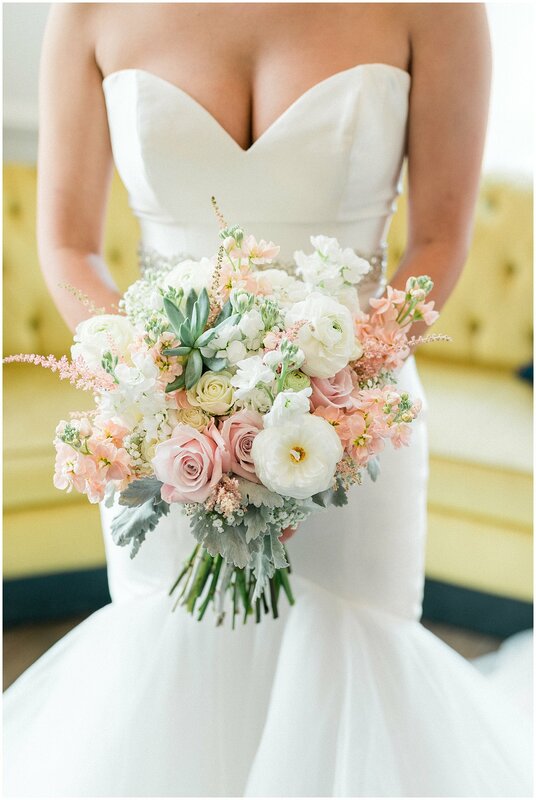 Talk about dreamy! 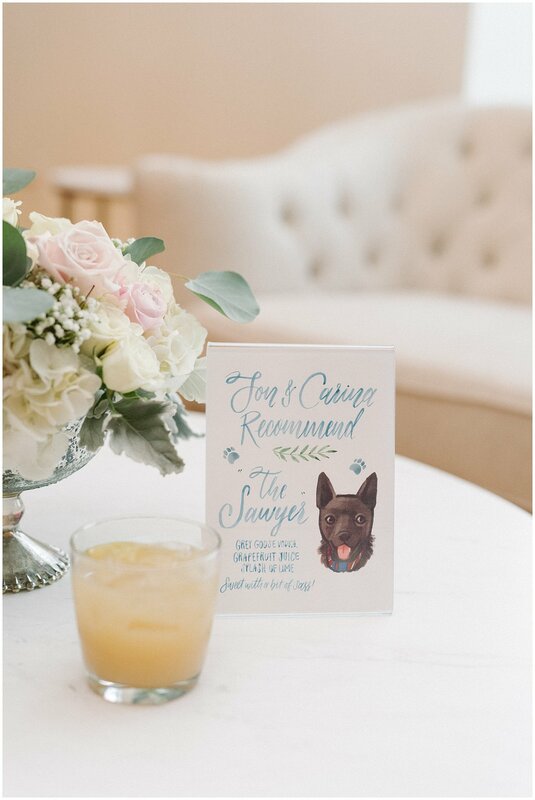 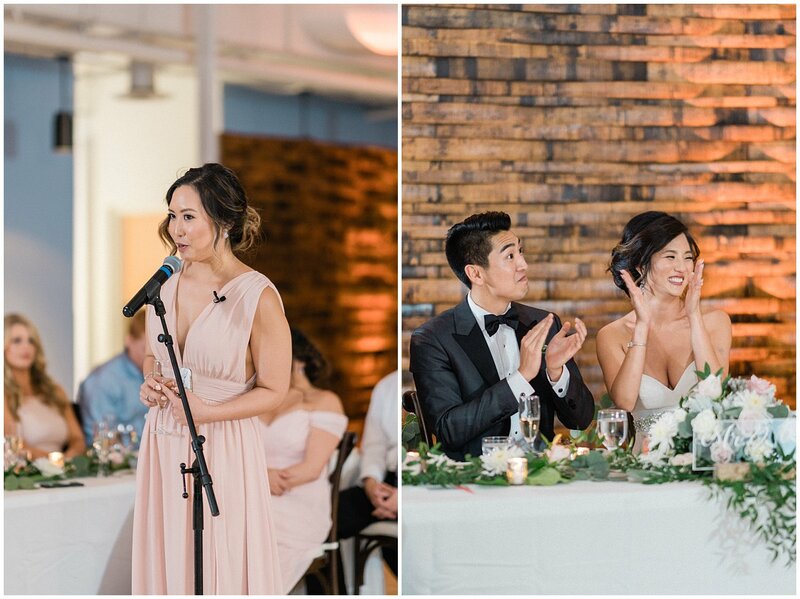 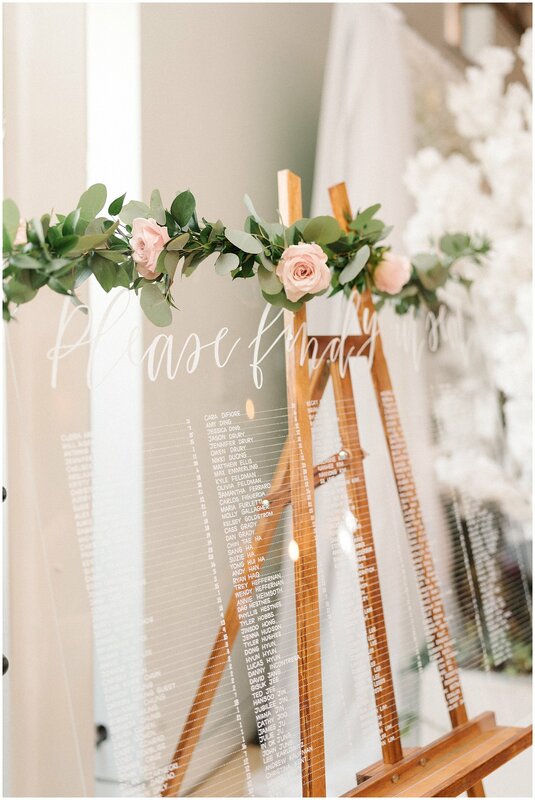 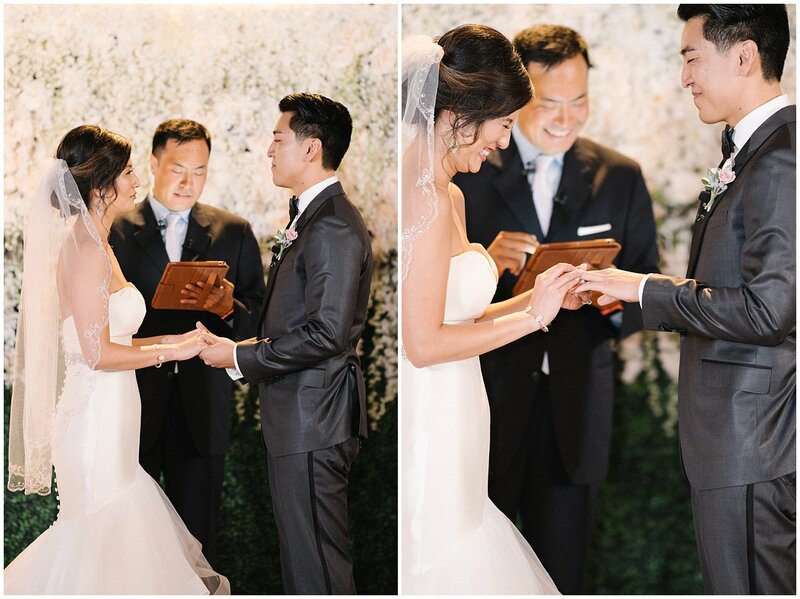 In fact, I overheard a few guests gushing about how “Pinterest perfect” the wedding was- and while I warn my couples that sometimes Pinterest can create unrealistic expectations, I think that term applies perfectly to this AVAM wedding! 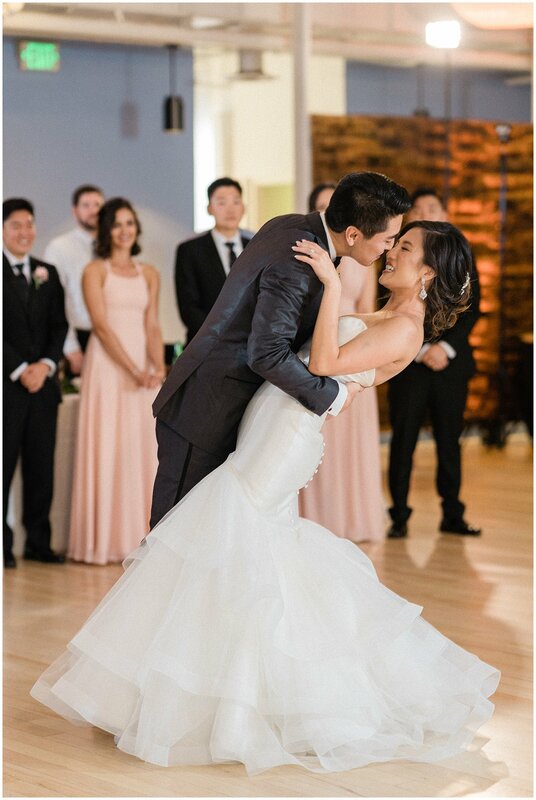 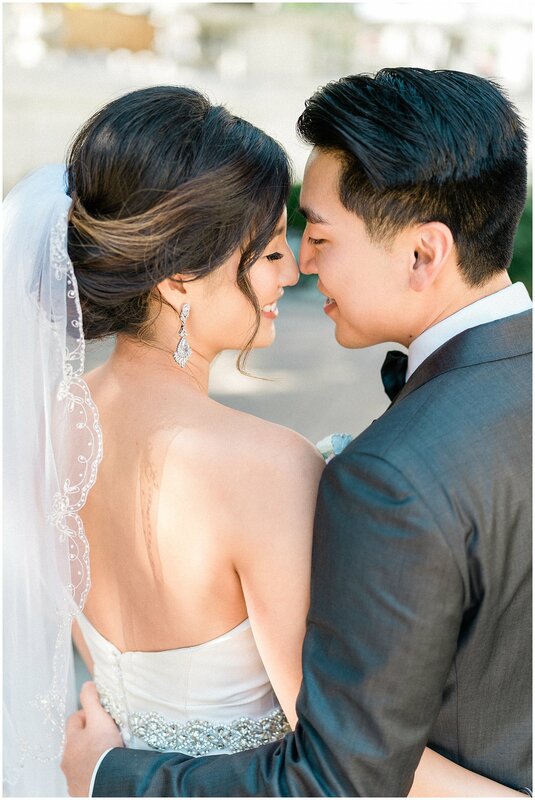 Carina’s response to United with Love’s question, “Do you have any advice for couples planning their weddings now?” totally cracked me up: To the grooms, when your bride to be asks you for your opinion or for advice, please do not answer “I don’t know”/”I don’t care”/”Whatever you think”. 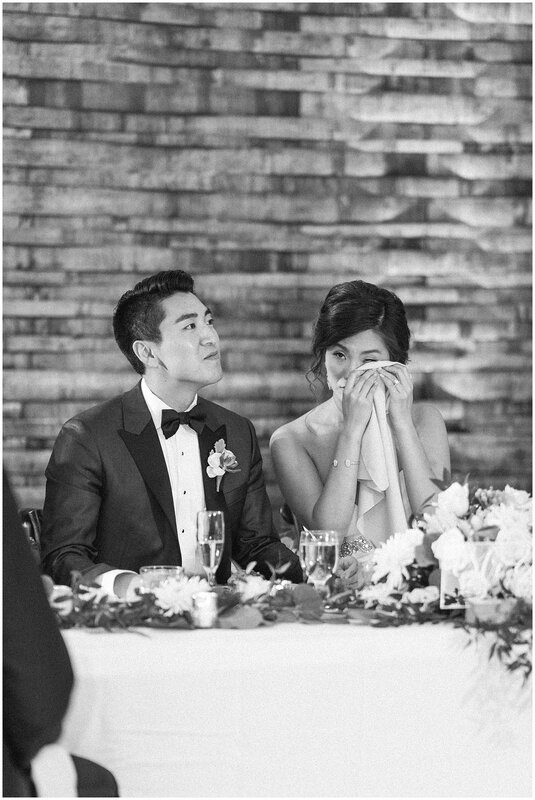 Even if you truly don’t know, don’t care or think that she knows better, give it some thought and tell her your opinion. 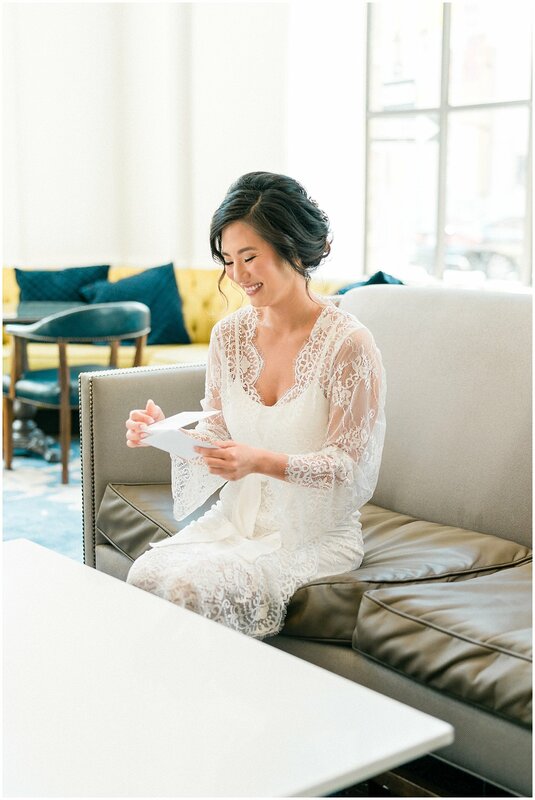 There are so many decisions brides are expected to make in the wedding planning process and it can be exhausting. 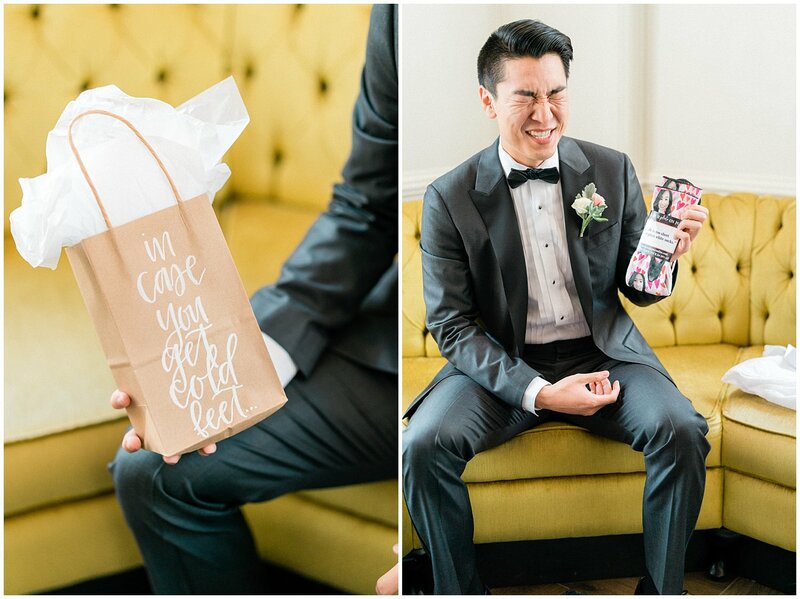 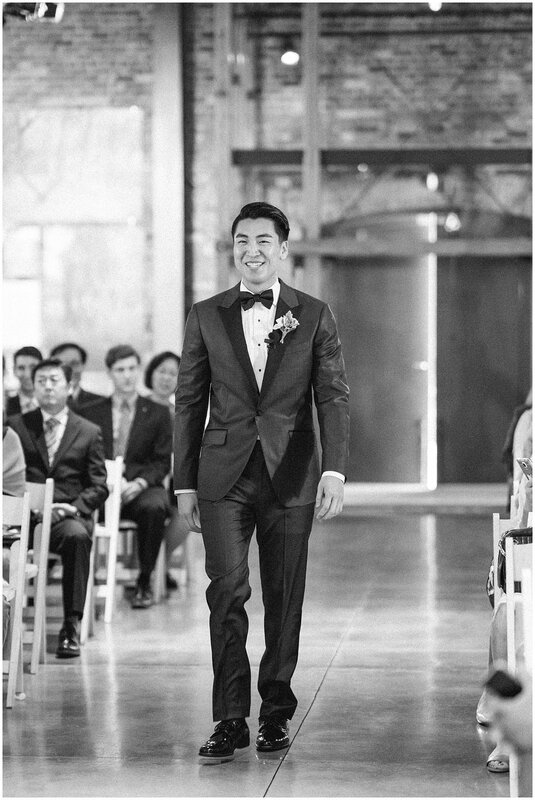 The seemingly finality of a groom’s answer/opinion sometimes gives clarity to the bride to help her reach the best decision. 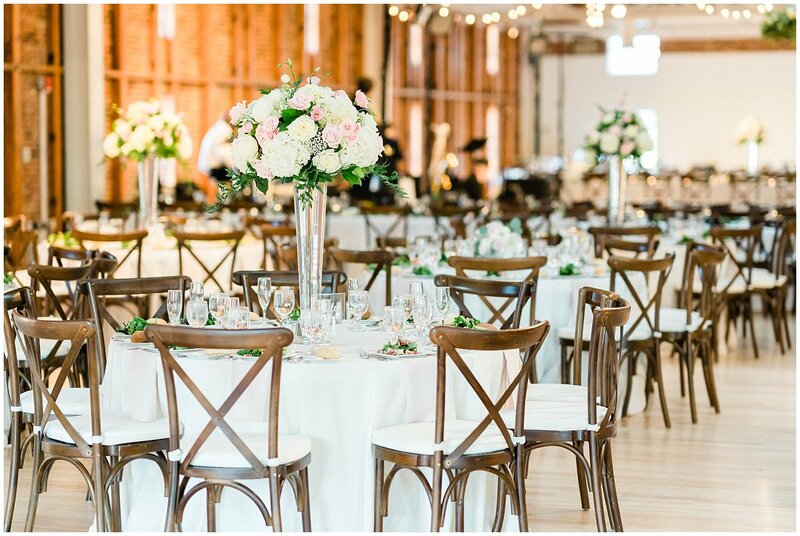 For example, I couldn’t decide on table cloths and Jon shared with me that he thought they should be blue. 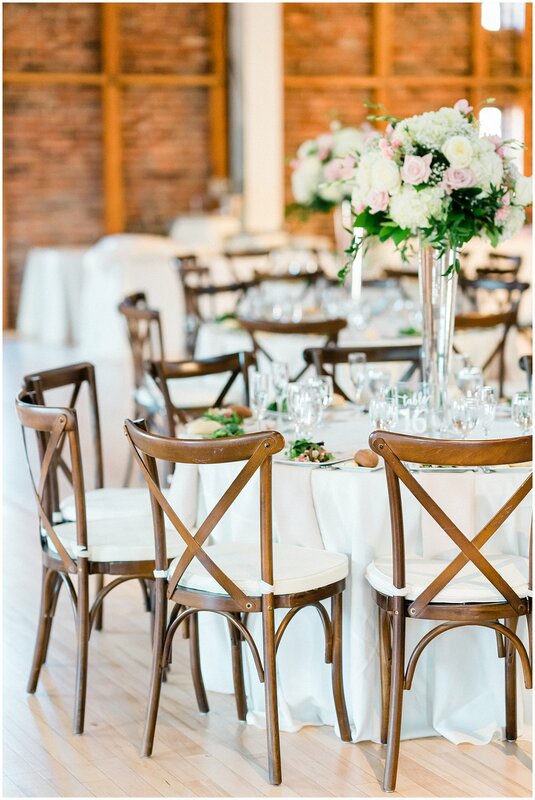 Suddenly, I could imagine blue table cloths on the 30+ tables and I realized that it would look way too blue and decided on cream. 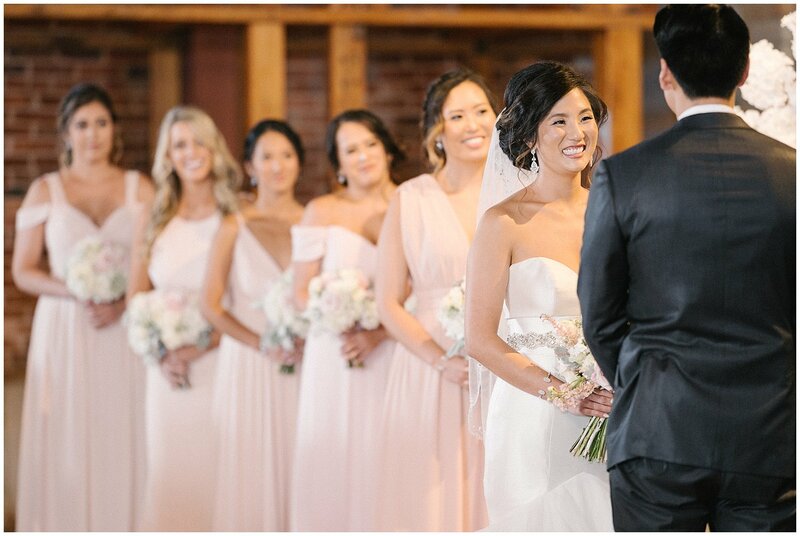 In actuality, Jon was indifferent to the color of table cloths but was thrilled that his “wrong” answer helped me finally make a decision.